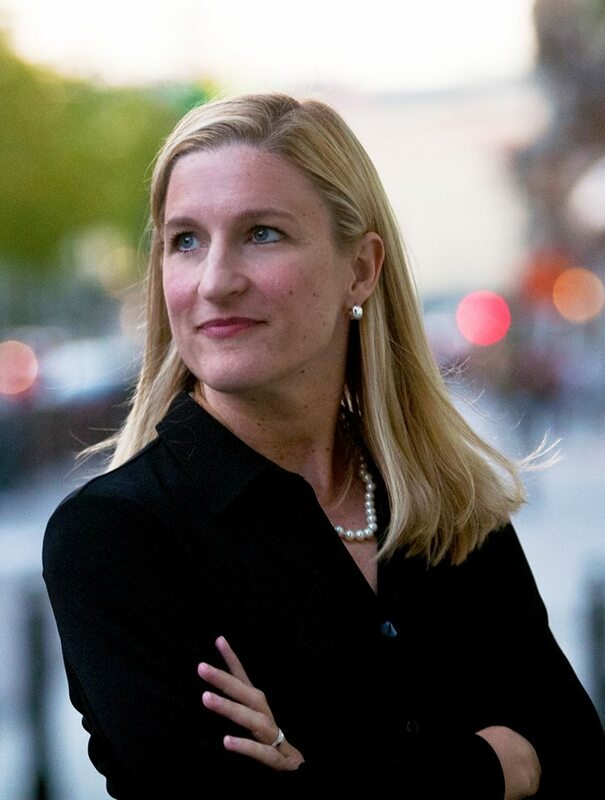 Ruta Sepetys (Rūta Šepetys) is an internationally acclaimed, #1 New York Times bestselling author of historical fiction published in over sixty countries and forty languages. 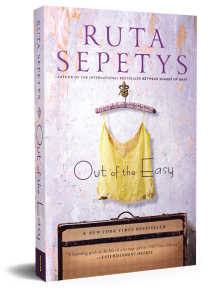 Sepetys is considered a “crossover” novelist as her books are read by both students and adults worldwide. 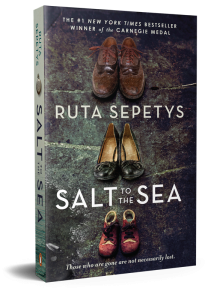 Winner of the Carnegie Medal, Ruta is renowned for giving voice to underrepresented history and those who experienced it. Her books have won or been shortlisted for over forty book prizes, are included on over thirty state reading lists, and are currently in development for film and television. Ruta was bestowed the Cross of the Knight of the Order by the President of Lithuania for her contributions to education and memory preservation and was recently honored with a postage stamp containing her image. She is extremely proud to be of Baltic heritage, even if that means she has a name no one can pronounce. 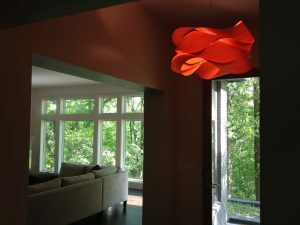 Ruta lives with her family in the hills of Tennessee. Q: Will you write another story about Lina and Andrius? A: Right now I’m hard at work on several different novels. So for the moment, I’ll leave it up to YOU to write their story. Q: Why do you write historical fiction? A: Writing historical fiction is like being a detective. I enjoy uncovering secrets, hidden facts, and hidden heroes. Through characters and story, historical statistics become human and suddenly we care for people we’ve never met, we can find their country on a map, and then—the history matters. Through historical fiction we can give voice those who will never have a chance to tell their story. That inspires me! A: During a trip to Lithuania I visited my father’s cousin and learned that after my father fled from Lithuania, some of our extended family members were deported to Siberia. I was shocked, but learned that my family’s history was not unique. There are millions of people whose lives were taken or affected during the Soviet occupation. Yet very few people know the story. I wanted to write a novel to honor the people of the Baltics and also to illustrate the power of love and patriotism. Q: Why did you choose alternating POV's in writing "Salt to the Sea?" A: I took two research trips to Lithuania while writing the novel. I interviewed family members, survivors of the deportations, survivors of the gulags, psychologists, historians and government officials. The experience was transformative. 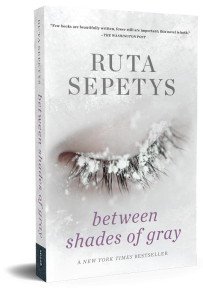 Q: How much of “Between Shades of Gray” is real? A: The characters are fictional, but their circumstances and many experiences described in the novel were based on actual stories told to me by survivors. A: New Orleans is unlike any city in America. Its cultural diversity is woven into the food, the music, the architecture — even the local superstitions. It’s a sensory experience on all levels and there’s a story lurking around every corner. Q: Why is the sinking of the Wilhelm Gustloff an unknown story to many? When the ship sank, the Nazis tried to conceal the story (and the fact that they were losing the war.) The Soviet submarine commander who torpedoed the Gustloff was dishonorably discharged shortly after, so the Russians weren’t drawing attention to the story. And after the war, Germany didn’t publicize the sinking as they felt it was inappropriate to speak of their losses during the war considering the atrocities committed by the Nazis. Q: Are the characters in “Out of the Easy” real people? A: All of the main characters are fictional, but the character of Willie was inspired by New Orleans madam, Norma Wallace. A: I took several trips to New Orleans and spent many days at the Williams Research Center in the French Quarter. I combed library archives and newspaper archives, reading stories about the time period. I walked Josie’s paths that I describe in the book and interviewed residents of the French Quarter who had an intimate knowledge of the underbelly of the city in the 1950’s. A: The inspiration for characters generally arrives during research. I’ll come upon a story, or even a small detail, that will inspire a character and bring them to life for me. Many of the characters also come to life while I’m interviewing people who experienced the event. I try to interview as many people as possible while researching a book. I then weave their stories together into one character. That way, I’m representing a larger human experience. A: I wouldn’t call it a “process.” It’s more stream of consciousness. Unfortunately, I don’t always have large blocks of time to sit and write. I grab bits and pieces when I can, which often means in traffic, on planes, or very early in the morning. I always carry paper and pen with me. I often write dialogue longhand. I’ll envision a scene (as if I’m watching a movie) and I notate as the characters are talking. Sometimes, while on long drives, I’ll write by recording myself speaking the narrative and dialogue into a recorder or my cell phone. So essentially, I just let it flow. I’m a big reviser. In fact, maybe I’m more of a reviser than a writer! Q: What sort of advice do you have for young writers? 2. Consider joining a critique group. Having several people read your work and give you feedback can be very helpful. It’s also fun to share your creative journey with other writers. 3. Get your heart broken, thrown on the ground and stomped on a few times. Take a whirl at being an outcast, a total loser, or being publicly humiliated. Although painful at the time, it will provide great material for future books. For writers who are struggling to find inspiration, I suggest they think back on their own experiences of love, loss, joy and humiliation. Those triumphs and scars are part of our individual emotional truth and if we write about them—and through them—the work will have a feeling of authenticity. 4. Pay attention to the rhythm and melody of your writing. Read your manuscript aloud. If you stumble, revise. 5. Read. Good writers are great readers. Read hundreds of books. Seriously. Q: How do you overcome "writer's block?" A: When I feel a bit “stuck” I leave my computer and take a walk or listen to music. Engaging another part of my brain for a few minutes seems to work the knots loose. Any form of exercise or physical activity also helps. Q: Can I see a picture of your treehouse?